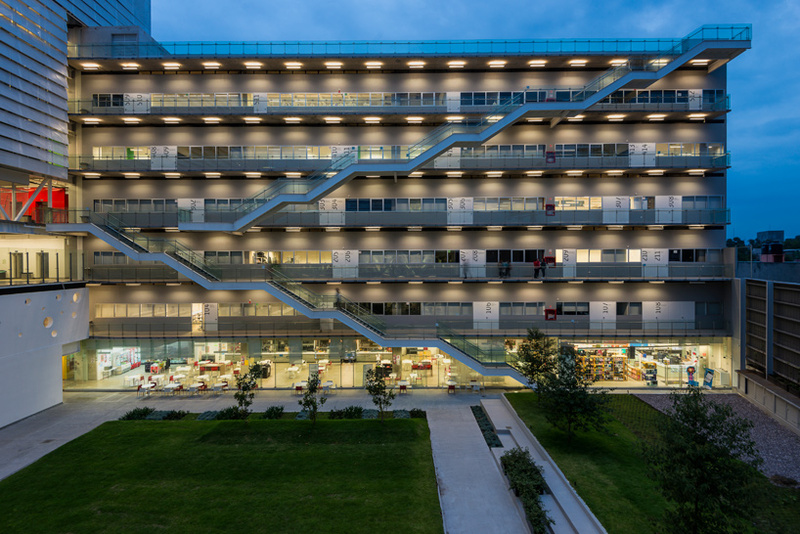 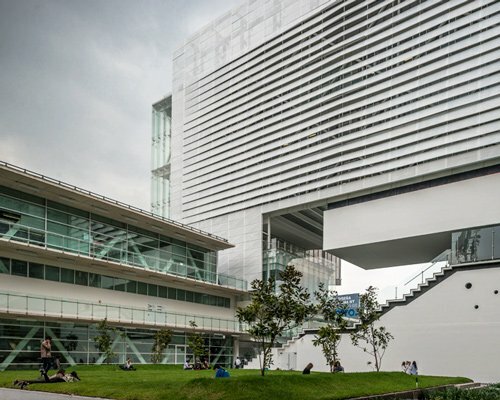 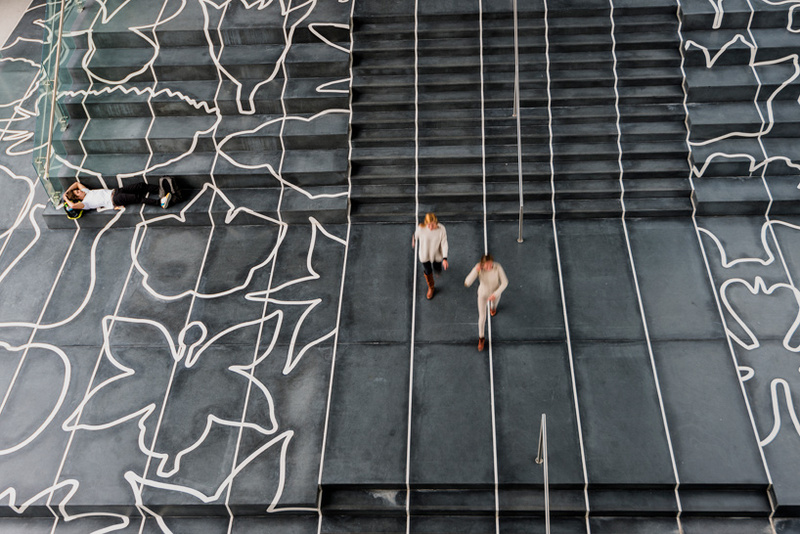 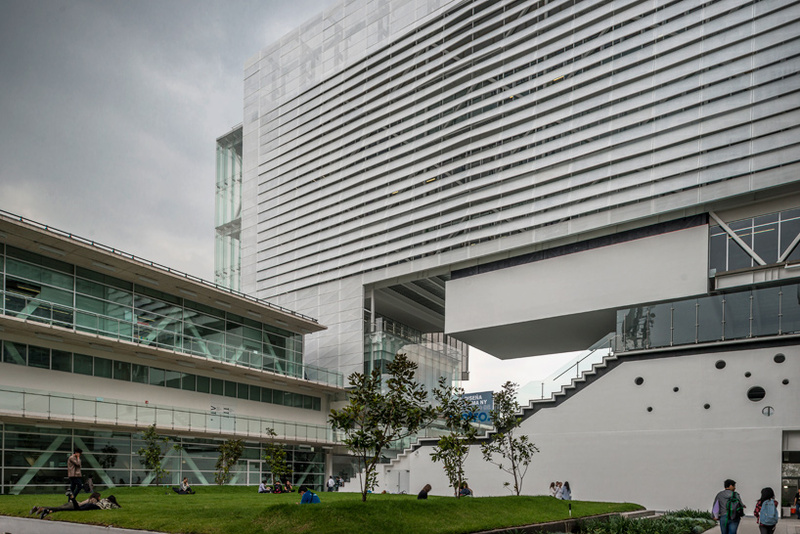 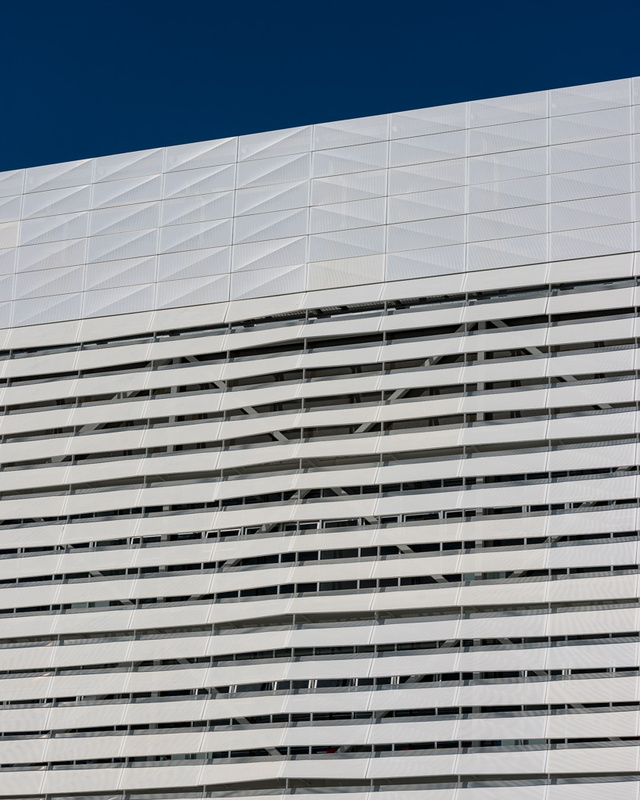 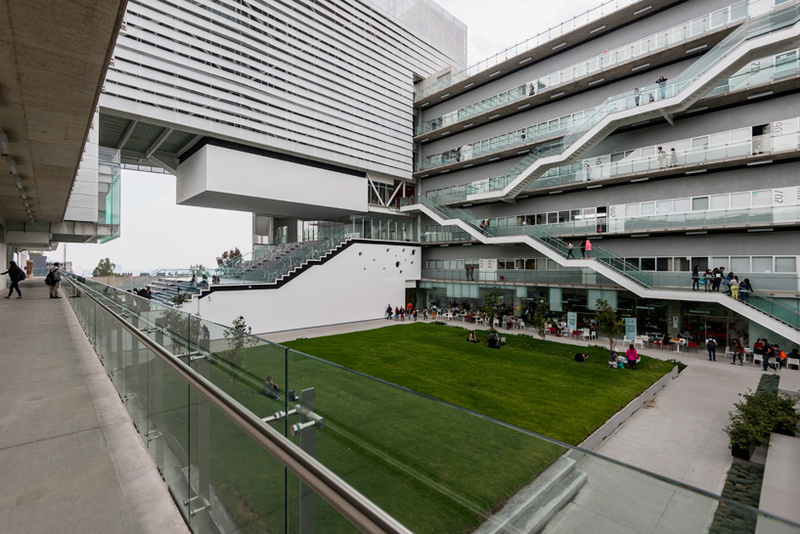 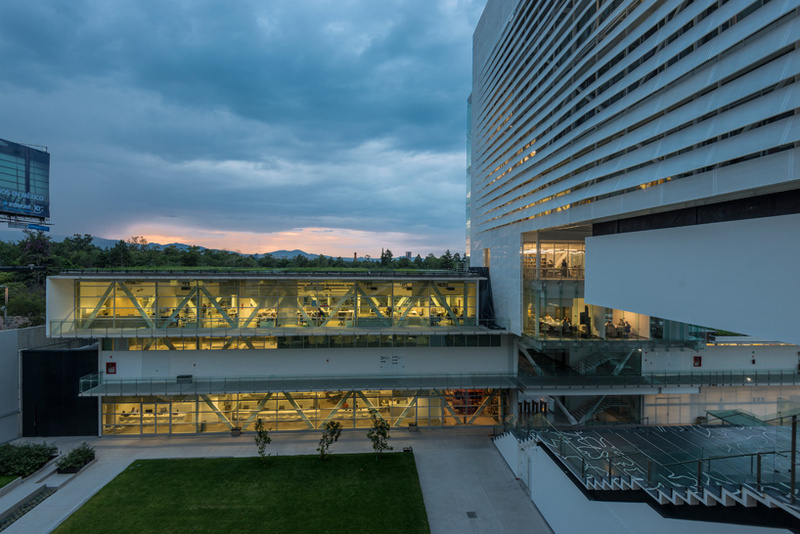 mexico’s centro university has inaugurated its new campus, designed by enrique norten of ten arquitectos. 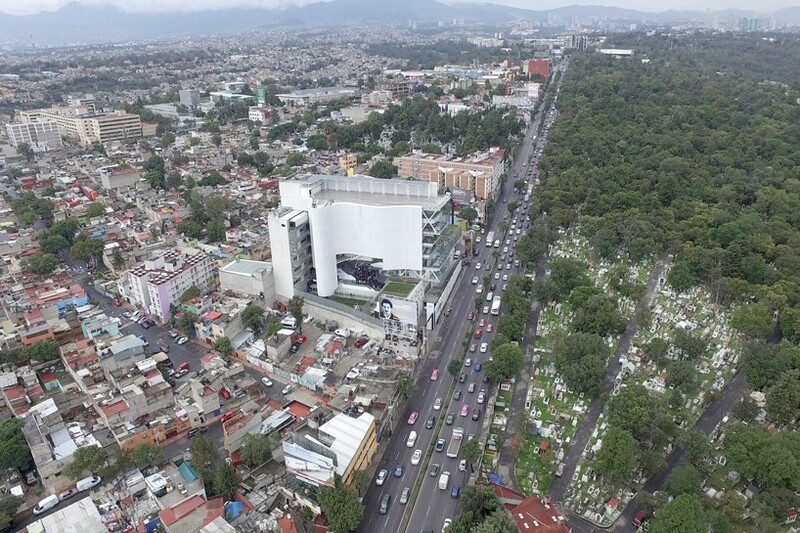 built on mexico city’s avenida constituyentes, the project covers over 5,000 square meters and comprises three interconnected buildings organized around a 2,000 square meter communal green space. 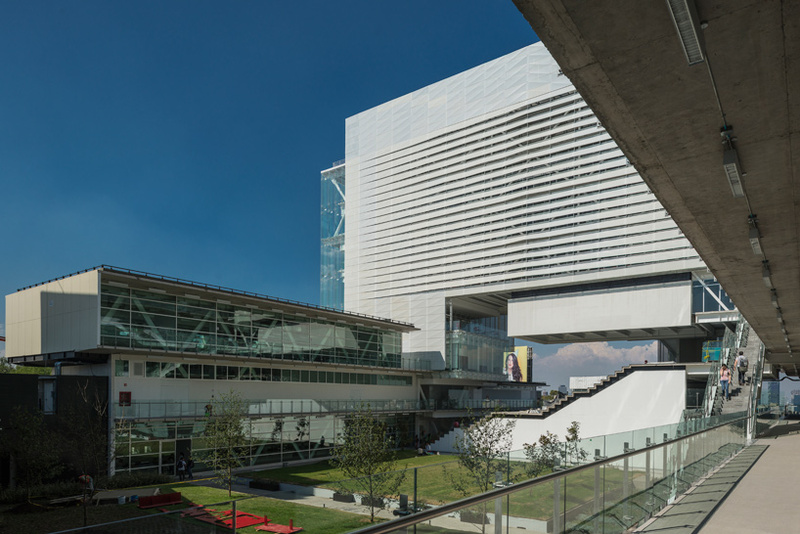 at the heart of the scheme is an 450-seat auditorium that can be adjusted according to the needs of a specific event or performance. 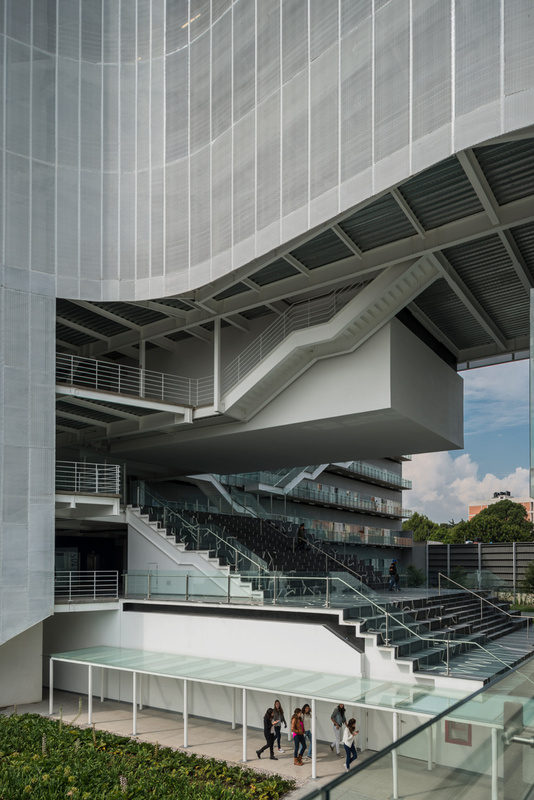 equipped with advanced acoustics and lighting, the venue also serves as a forum for student collaboration. 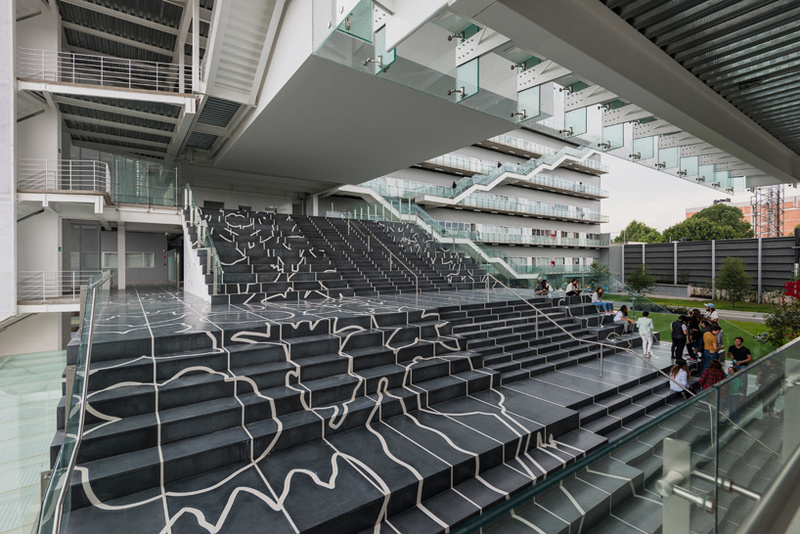 other noteworthy aspects of the campus include: a monumental external staircase designed by dutch-born artist jan hendrix, a 4-storey media library containing a vast specialized collection of books, magazines, films and digital archives; a state-of the-art film studio where film and television majors can produce, direct and create stage-sets for their projects; and a series of workshop studios that range from textiles and fashion to industrial design to jewelry and ceramics.